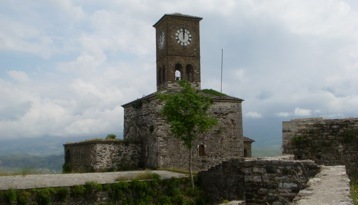 On Friday, I took the long and winding road from Korca to Gjirokaster. The ride is spectacular, if the road would be straight the ride would be 3 hours, instead it is a six hour bus ride. Gjirokaster is noted for its grand castle that was used for a prison before world war two, during, and after up 1971; also the town is known for its steep cobbled stone streets and the unique architecture. 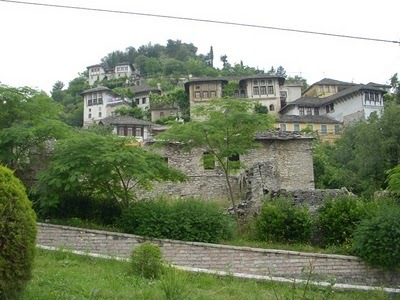 Gjirokaster is built on many steep hills that overlook the Drinos Valley, and is the birth place of the former harsh dictator Enver Hoxha who ruled from 1941 to 1985 and isolated the country, this cultural baggage is extremely evident traveling Albania. 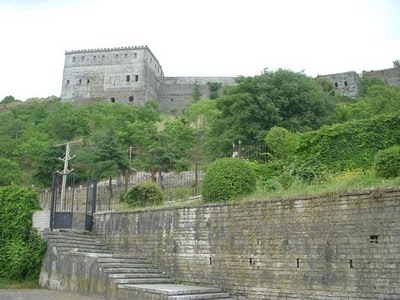 Personally, I did not like the town of Gjirokaster because of the poor quality in food and their bizarre view of the tourist. From the last three areas I visited the energy has been odd; Korca was Ok, but the mind set of Gjirokaster seemed backwards which people here in Sardana agree. 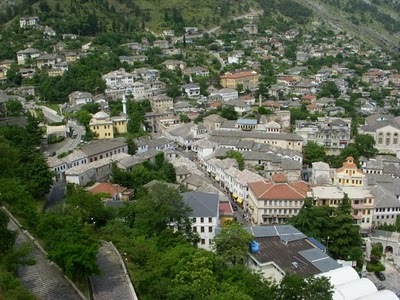 As the bus from Gjirokaster crossed the mountain to Sardana the energy dramatically changed. And, I stopped into a cafe and received an excellent salad and the guy offered me a great room with a private bathroom at their house for only 1000 leek/$9 a night, up until now the cost for the accommodation has been an average 20 Euro. So it is nice to be on the coast. The change in energy from Macedonia to Albania, then now on the coast in Albania reminded me the dramatic change from the Mani Coast to Sparta in Greece, but only the other way around. One aspect to note is that the tour industry concept is very new in this region. All the cafes and nice building are new starting in 2000. Even in Bulgaria many of the cafes and restaurants were built in the last twenty years and that is why many times going to a restaurant with some friends they would rarely bring all the food out at once. Here in Albania it is very noticeable that many buildings and hotels are new, and they really don’t have a clue about the system of travelers. Before entering Albania I heard and read about how poor this country is and how bad the roads are, but I am viewing the opposite. The roads are decent (much better than in Bulgaria) and there are many new homes and big homes to add. I haven’t viewed many poor people on the streets, and even if the economy is struggling, it is basically the same as the neighboring countries in the Balkans. But the victimization is evident along with other dynamics that I will be writing about. That is a spectacular view. I am loving how reasonable this part of Europe is. We are going to have to get ourselves there before the prices go up! Looking forward to hearing how you like Albania. 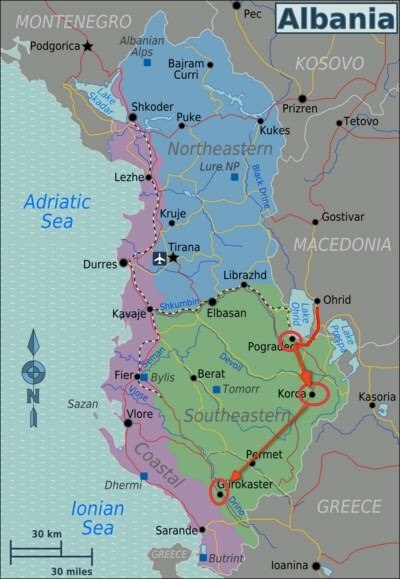 Albania is a mixed bag, I just wrote a rant about several dynamics so far, but now I am heading north and of course the north and south in any country will have different cultural dynamics. 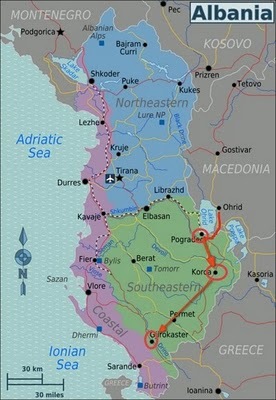 Next post: Sardana and Southern Albania. Previous post: Crossing the Border and Visiting Korca—Albania.